"Hybrid helmet design with a durable ABS injection molded shell and EPS inner foam to spread the impact force, comfortable and ventilated by 10 large vents. Size-fitting via wheel adjuster. Headlamp clips to secure your lighting. 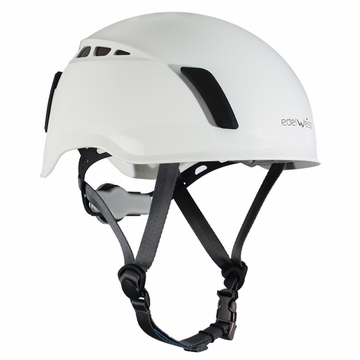 The chin strap’s strength is more than 50daN to ensure the helmet remains secured during an impact. Closure by innovative magnetic buckle super easy to handle even with gloves. Removable and washable comfort padding. Size: 51 to 62cm 20"" to 24.4""